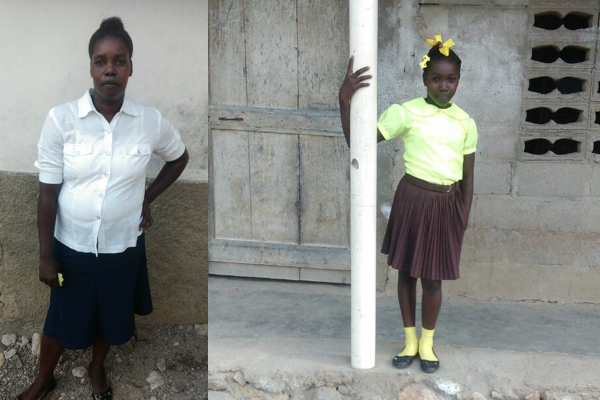 Roselourdes’ mom who resides in Terrier-Rouge, North-East of Haiti, shared that she didn’t have the means to provide her daughter a backpack so early into the new school year. She was planning to save so that little by little she would’ve eventually acquired her the needed school materials. However now she won’t have to. She can use the money to feed her kids instead. My name is Roselourdes VOLTAIRE, I’m from Cité Fédée, Terrier-Rouge and I’m 10 years old. For the new school year, I was truly afraid that I would not have all the required materials the school was asking for. From backpack to books to pen and pencil etc. I didn’t have it. Then a couple of weeks ago, the Sow A Seed truck pulled in the front yard and they began to distribute school kits, I was ecstatic. I felt a burden being lifted off my parents’ shoulders. I’m so happy, but most importantly grateful. I think that so many children don’t go to school in Haiti for this specific reason and this program proves that there are people out there who are thinking about others and the future of the country.